“There is a big difference between the time we joined MILEAR and now. It has totally changed our lives.” Zemu, forty-six years old, breadwinner for her grandchildren, their single mother and her adult son who has a disability. Zemu carries the weight of the world on her shoulders. At only forty-six years old, she is the breadwinner for her grandchildren, their single mother Fatima, and her adult son who has a disability. The hard labour of working in the fields was made much more difficult when her daughter was forced to leave her husband and there was no longer an adult male in the home capable of helping. Without being able to grow enough food to sell, the family wasn’t able to afford basic necessities and the children would often go without meals. Zemu was identified by the community as a woman who could use support from Canadian Feed The Children’s food security project MILEAR three years ago. It couldn’t have come at a more critical time. 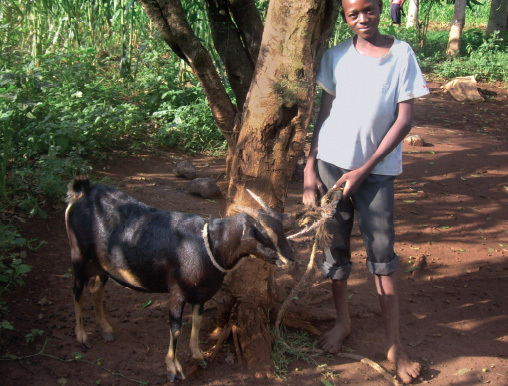 The program staff taught Zemu how to grow mung bean – a high-yield, drought-resistant crop that is highly nutritious. 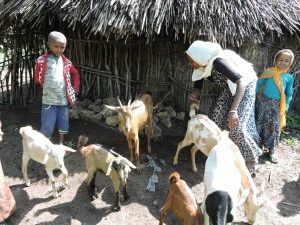 They also provided her with goats through a pay-it-forward system, where participants pass on goats to other community members in-need once the animals have given birth. “There is a big difference between the time we joined MILEAR and now. It has totally changed our lives. Productivity is good. 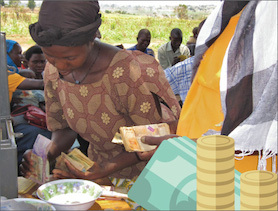 Lately, it has been even better because we are getting a lot of help,” Zemu explained. And the help wasn’t just coming from Canadian Feed The Children’s donors. 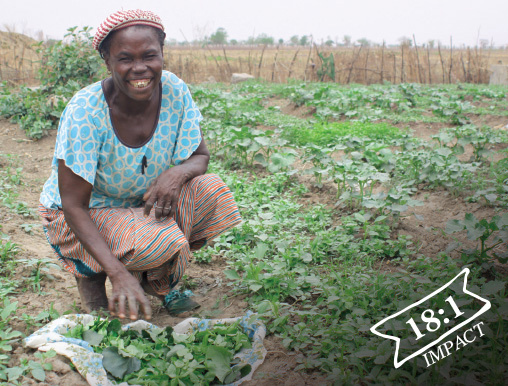 With her fields in need of cultivation again, her neighbours began volunteering their time on her land. “It is traditional culture to help one another,” Zemu told us, explaining how a location tradition called “Debo” propels local community members to help the single grandmother cultivate her fields. 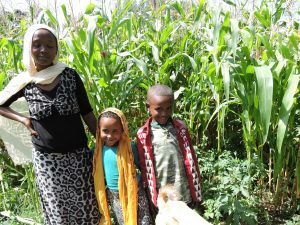 Zemu and her daughter Fatima have been able to sell the mung bean they have harvested with help from their community at market and earn an income that helps cover the costs of food, clothing and school supplies for the children. They improved their home and built a structure to keep their goats in at night, safely away from hyenas. They have also been adding mung bean into their traditional meals for extra nutrition. 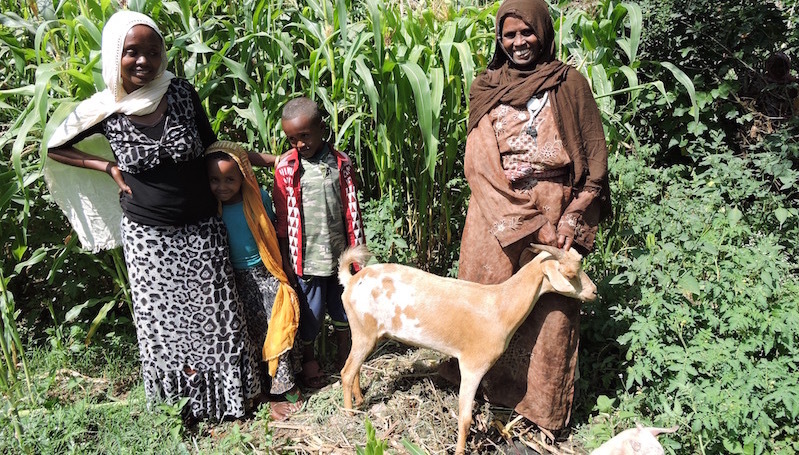 Despite facing challenges this past year because of drought – losing much of their yield and a number of goats to disease, Zemu is still optimistic that they will achieve what they have set out to do. The support they have received from Canadian Feed The Children’s donors and their neighbours has helped them believe in their own potential and resilience. With Canadians and Zemu’s community following the custom of “Debo” – that is, coming together to support your neighbour – there is nothing that can stop this family from achieving their dreams. Unifor Social Justice Fund is the largest private funder of Market-led Improved Livelihoods in Eastern Amhara Region (MILEAR), a $7.64-million project funded generously by Global Affairs Canada.